Click to download the PDFs below. 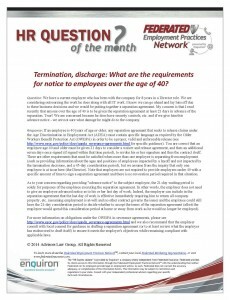 Please download Federated Insurance’s “HR Question of the Month” regarding employment-related practices liability issues. 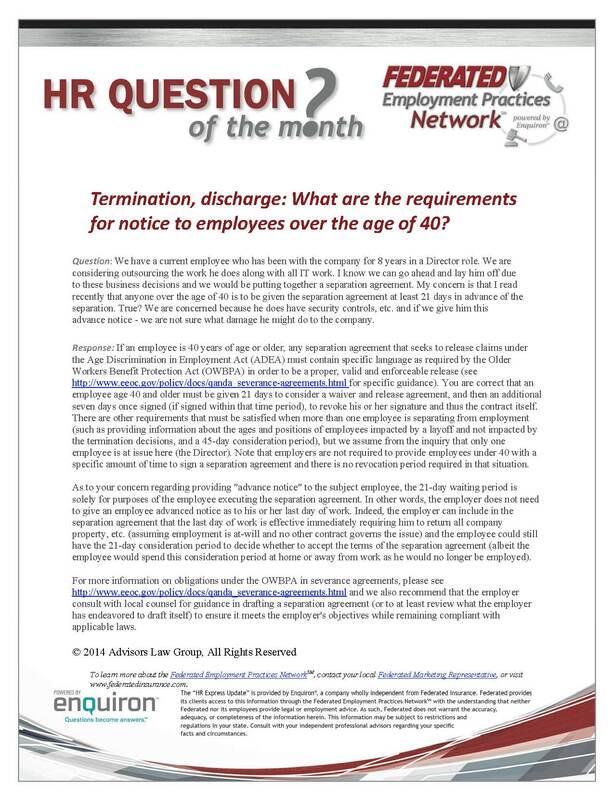 Look for Federated’s “HR Question of the Month” each month for HR updates!